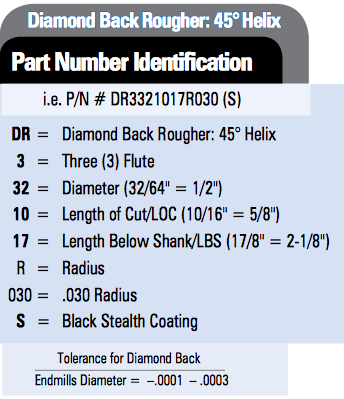 DIAMONDBACK DVH: 45 Degree Variable Helix – Primarily for high-speed machining of aluminum, and other non-ferrous materials including brass and bronze alloys. 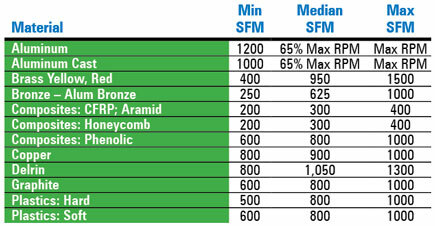 The Diamond Back Rougher is designed for maximum Metal Removal Rates (MRR) in Non Ferrous Applications. 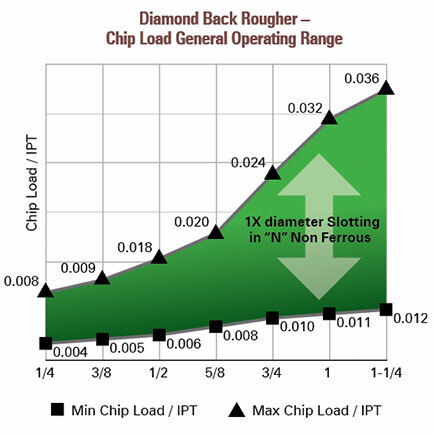 Although the charts below depict a maximum chip load per tooth (IPT) value, your maximum may be lower due to machine horsepower, machine torque, toolholder and/or workholding. We've successfully run our 3 flute, 3/4 diameter end mill in a slot 1.5" deep at at 14,000 RPM and up to a .040" chip load per tooth. 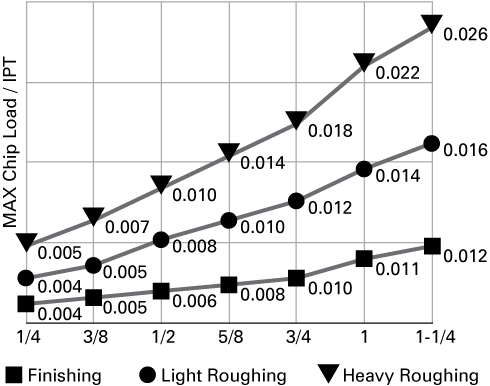 Keep in mind the not all machines have the torque or horsepower necessary to handle these types of cuts.